Pizza has long been a favorite thing for me to make at home. It’s grand to be able to enjoy such a delicious treat without the guilt of eating highly processed ingredients. It’s fun to come up with different flavor combinations. But homemade pizza is a lot of work; and it can be quite time consuming. Some of that time can be shaved off by not having to wait for your pizza crust to rise for an hour. 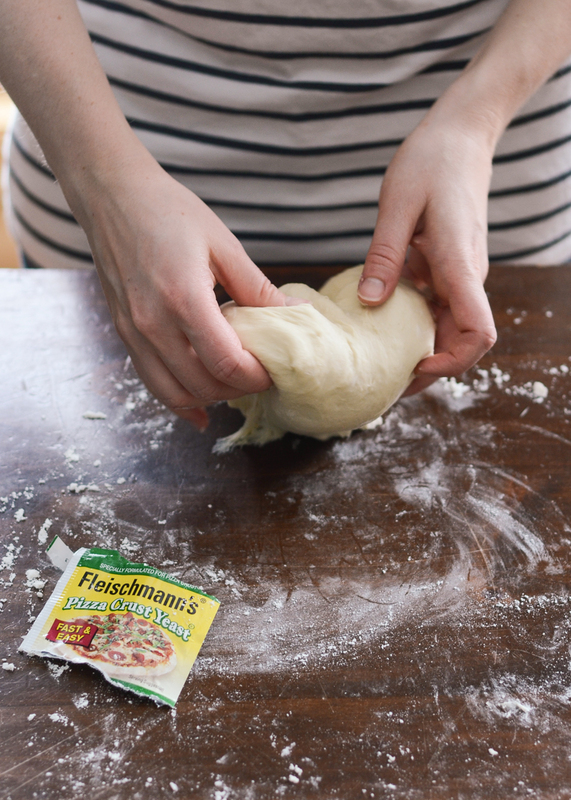 With Fleischmann’s Pizza Crust Yeast, all you need to do is mix up the dough and shape it. It’s ready to bake right away. If you have a few ingredients prepped beforehand, homemade pizza can actually be a feasible weeknight meal! When you make the sauce for your pizza, make a double batch and refrigerate or freeze half for next time. 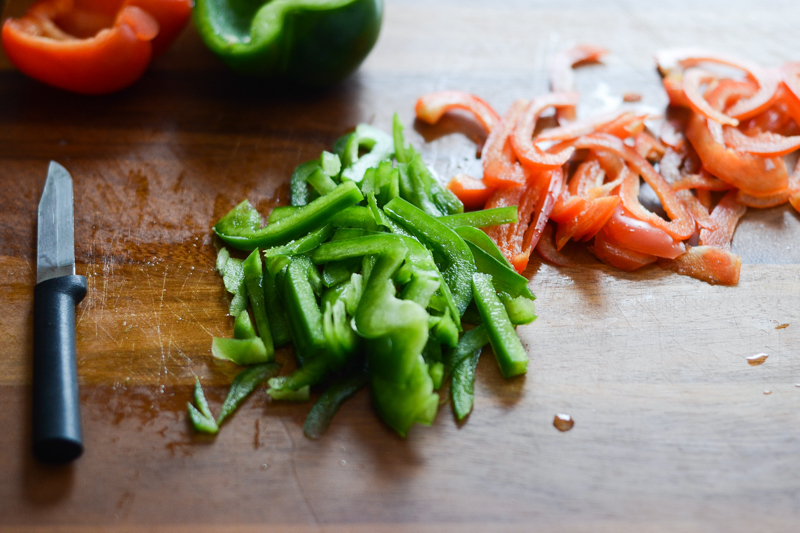 If you have a weekly prep day, wash and cut all the veggies for your pizza. Cook the meat. Shred the cheese. Use a rapid-rise yeast for those days when you have NO time to wait for the dough to rise. My one disappointment with this yeast was the number of ingredients. I know they need to add those items to facilitate the quick rise time, but I’m a bit sad to use ingredients that I can’t pronounce. 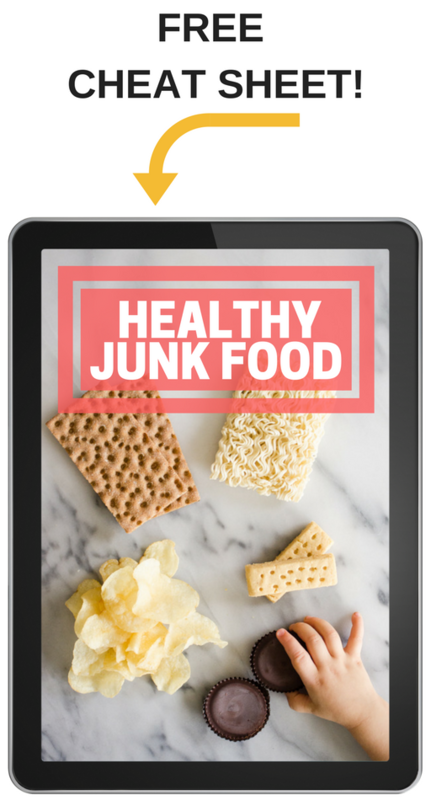 However, if it’s a choice between takeout and homemade pizza, it’s pretty obvious which one will be more healthy. So I don’t really bad guilty about using this yeast. This year, I’d like to try to have a monthly pizza night. Fleischmann’s yeast will make it quite doable. And I’m sure Reuben will be thrilled to know that he’s ensured homemade pizza at least once a month. When I asked Reuben what pizza I should make for you guys, he suggested a Philly Cheese Steak Pizza. This man is a genius. And this pizza was delicious. One of the best I’ve ever made. It was excellent cold as well. I like my pizza crust a bit sweet, so I added some extra sugar to the dough. It helped to balance out all the savory flavors. If you prefer a crispy crust, I suggest lowering the oven temperature to about 400 – 425 F and increasing the baking time. 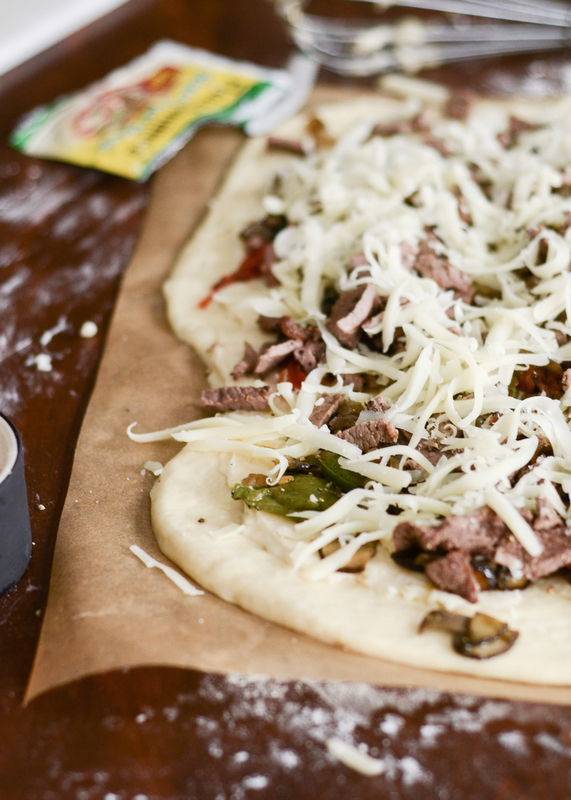 This recipe may look long, but all that’s required is sauteing the veggies, cooking the meat, making a cheese sauce, and mixing up the dough. Don’t get overwhelmed! You can ask your butcher to slice your steak very thin if you can’t find any already packaged up for you. In a large cast iron skillet set over medium-low heat, melt 1/2 tablespoon butter. Add the onion, season with salt and pepper and cook, stirring often, until soft and golden, about 20 minutes. Remove to a bowl and set aside. In the now-empty skillet, melt 2 tablespoons butter over medium-low heat. Add the peppers and mushrooms, season with salt and pepper, and cook until tender. Remove to a bowl and set aside. Turn the heat up to high. Add 2 more tablespoons of butter to the empty skillet. Once the butter is melted, add the slices of steak. Season with salt and pepper. Cook for only about 45-60 seconds per side. Remove to plate. Once the steak is cooled, cut it into small, bite-sized pieces. In a small saucepan over medium-low heat, melt the butter. Whisk in the flour; cook for 1-2 minutes or until bubbly and smooth. Slowly whisk in the milk and cook, stirring constantly, until thick and bubbly, about 2-4 minutes. Remove from heat and vigorously stir in the cheeses and salt & pepper. The sauce will be very thick. Taste and adjust seasonings if needed. Set aside. Preheat your oven to 450 degrees F. Once the oven is hot, place a pizza stone in the oven to preheat while you’re making your pizza. In a large mixing bowl, whisk together the flour, yeast, sugar and salt. Add the warm water and oil. Mix together until well combined, about a minute. Gradually add 1/2 cup flour until the dough forms a ball. Add more flour if needed. Dump the dough out onto a floured surface (dough will be somewhat sticky). Knead until the dough is smooth and elastic, about 4 minutes. Add additional flour as needed. 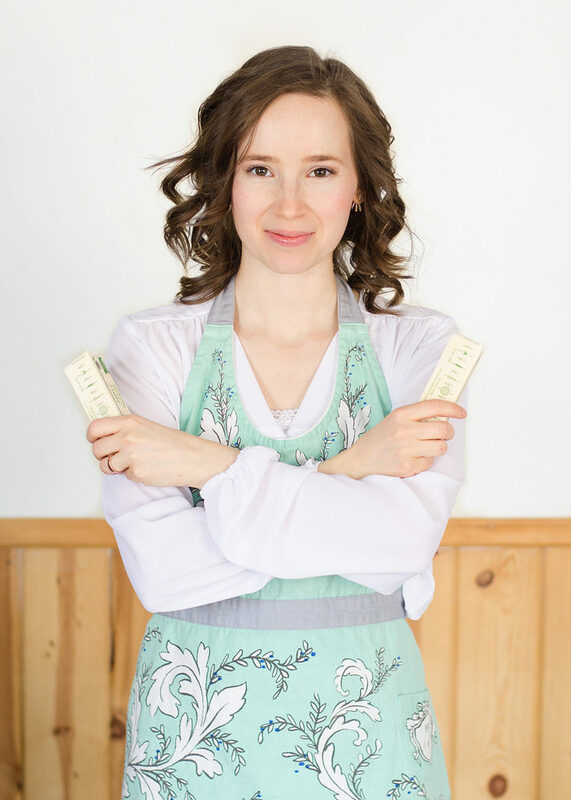 Roll the dough out to a 12-13″ circle on parchment paper. Spread the cheese sauce all over the dough. Top with the veggies and meat. Sprinkle the cheese on top. Transfer pizza to preheated stone and bake for about 10 minutes, or until the crust is nicely browned and the cheese is melted. Cheese sauce recipe adapted from Bobby Flay and Betty Crocker. The toppings were inspired by Bobby Flay. Dough recipe adapted from Fleischmann’s Yeast. This post was sponsored by Fleischmann’s Yeast. All opinions and words are my own. Had no idea this existed, so I'll be on the lookout for it. Love that you don't have to wait for it to rise. I'll have to forward this to my husband… he loves to make pizza and, to be honest, I love to let him! 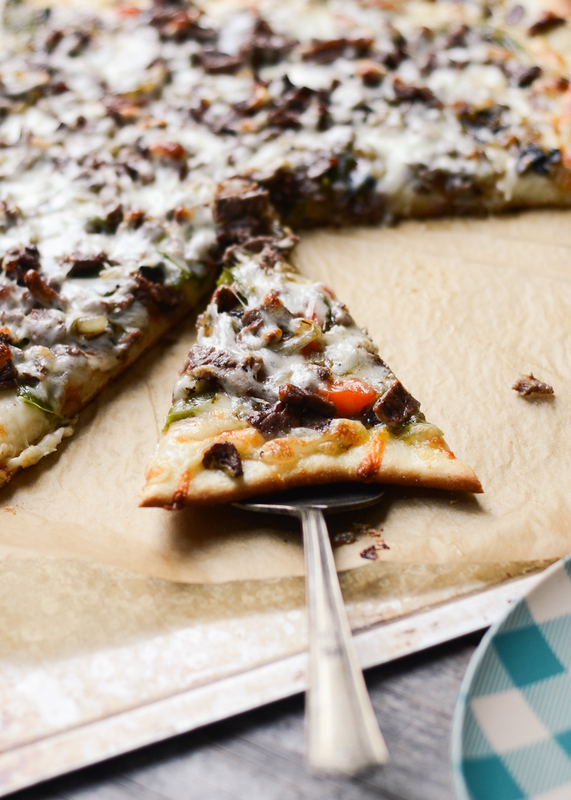 Philly chesesteak on a pizza- this is worth making my own crust for! This is quite a "manly" pizza, I think. After all, Reuben thought of it. 😉 Hope you guys enjoy if you decide to make it! Homemade pizza is the best. 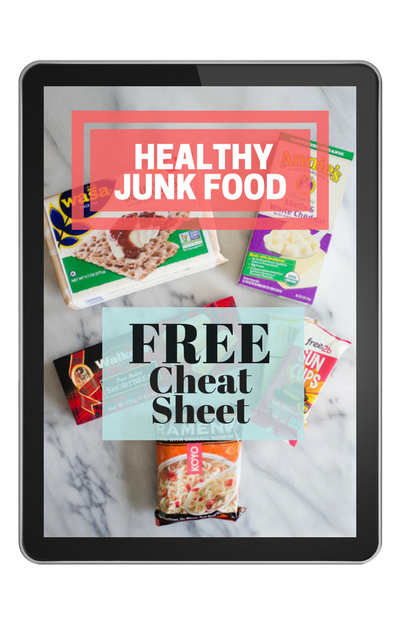 This pizza looks delicious and is so much better for you than store bought. 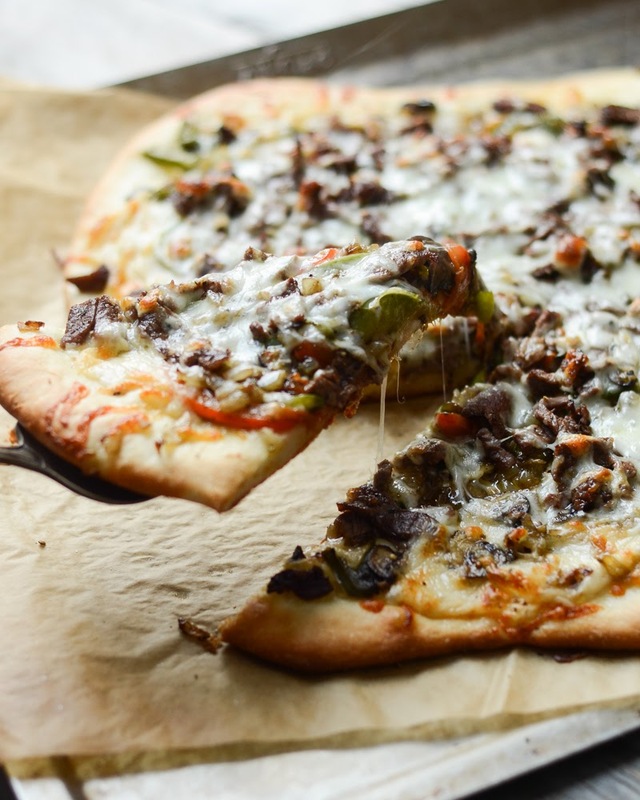 Yes, that is one of the main reasons I LOVE homemade pizza – you get to control the ingredients!